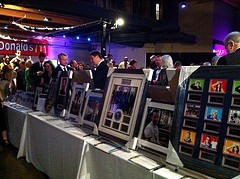 As any organization that holds silent auction events can tell you, one of the most difficult aspects of holding amazing silent auctions is finding amazing items to sell at your event. While finding large sponsors and getting people to come to the event are both more important in terms of overall dollars raised, ultimately, if you don’t source great auction items, people won’t keep coming to your event year after year, ready to bid on the items you are offering. Before You Start – Have a Plan! I am a big fan of plans. 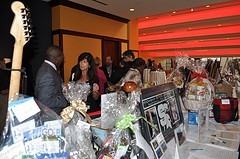 I know plans take time to formulate, and they are often subject to change, but I believe that taking an hour or two to write out a plan for gathering silent auction items more than pays for itself over the course of your event, by allowing you the time to thoroughly think through your strategy before implementing it. Thus, the first thing you should do is figure out your plan for finding auction items: what assets do you have at your disposal, who are likely targets for your solicitation, and how will you go about approaching those targets? Remember: not only do you want to get a ton of items to sell, you want to get a ton of GREAT auction items to sell. Obviously, not every item you get will be a blockbuster, but you should think through what items would likely appeal to your guests, and try and incorporate those types of items into your asks whenever possible. First, you want to ask them to donate an item or items for your event. Many of your board members and friends would love to do so. Help them think through what items would work: do they have sports tickets? Restaurant connections? Would they like to put together a gift basket? Try to get as many people as you can from this group to donate an item for the auction. Second, you want to ask your board, donors, and friends to help you solicit items for the auction from within their network. This means reaching out to their company, their colleagues, vendors, and customers, as well as their family and their friends to find people who will donate an item for your silent auction. The single best way to approach this group is to call them. Eventually, you will be sending letters as part of an auction mailing (we’ll cover that in part 2 of this series), but for this group of people who are already connected to you, it is best if someone from your staff, board of directors, host committee, or a volunteer actually picks up the phone and calls to ask for a silent auction donation. Calls like these are relatively easy, because this group of people already knows your organization and supports your work. If this is an annual silent auction event, the call is even easier, because the person you are calling will be aware that you are having a silent auction. Some of the people you call will have a great item. Others will need your help to think through a list of items they could donate. Still others won’t have an item, but will be willing to ask others to donate to you. The key with these calls is to make as many of them as you can… the more people you call and talk to, the more items you will have for your auction. First, ask your committee to donate silent auction items for the event, just as you did with your board and other donors. Second, ask your committee to find auction items from within their network. This means they should approach their own companies, vendors, clients, family and friends and ask for items. Often, your committee members will know several people who have season tickets for a sports team, or a subscription to the opera, or who own a restaurant or another retail establishment. Ask your committee to approach these contacts to ask for an item donation. Finally, several members of your committee may be willing to go out door to door to local businesses to ask for items. It takes a certain type of committee member to do this, but don’t be surprised if several of your committees members find this activity quite enjoyable. Ask these members to go out and target certain geographic areas for items. For example, someone could go hit all the establishments on your local “restaurant row” asking for gift cards, and another person could hit the local mall. Often, this activity works best when two members go out together. As with all committee activities, train, motivate, and support your members as they solicit auction items, and be sure to track their progress. Click here to read Part 2 of this series, where we talk about the all-important “auction mailing” and how you can use one to find better items for your silent auction than ever before!